Our Survey Says: Assessing Your Future Home - Winningback | Shopping and Finance Blog, Reclaim your finances today! Home inspections are absolutely imperative for anyone buying property in the UK. These inspections (often called ‘surveys’) can inform potential buyers of problems having to do with the property’s structure, any necessary repairs or alterations, as well as the risks associated with the property. Surveys can directly inform a potential buyer about the health of their investment. Potential buyers who carry out surveys prior to completing a transaction are in a significantly better position to renegotiate the price of the home if necessary or to ask the seller directly to fix any problems before completion of the home purchase. 1. The Basic (or Lender’s) Valuation – Most lenders require a survey of the property to check that it is in fact worth the price it is listed for. This type of survey is commissioned by the mortgage lender but paid for by the potential buyer. The cost of a basic valuation depends directly on the value of the property, for example a property worth £50,000 might require a survey that costs roughly £125. Some lenders forgo this fee in an effort to entice buyers to take out a mortgage with them. 3. Building (or Structural) Survey– This variety can cost anywhere up to £1,000 plus VAT, depending on the value of the home. 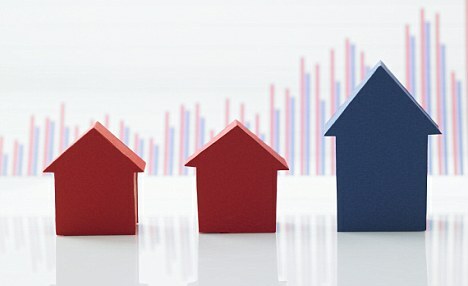 Even if you are considering buying a newly built property, getting an expert to give it a once over first is essential. While the condition of the new property is guaranteed by the builder, it is much safer to deal with any potential problems ahead of time and as a result of intelligence gathered from a private survey. In this way, surveys are necessary due diligence for potential home buyers. They ensure the health of your property and thus your investment. Attempts to negotiate issues after purchase rarely end well and leave many a new homeowner spending significantly more than they bargained for.